I try not to get too caught up in the perceived battle between Laveen and the Gila River Indian Community over the Loop 202 South Mountain Freeway. That's because I don't see much cause for conflict between the two neighboring communities. In many ways, Laveen and Komatke Village share the same concerns and have similar goals for future growth. So why does the relationship seem so tenuous? Let's see if I can boil down our current conflict to its essence: Each side is concerned about potential externalities from the other's actions. Take the freeway, for instance, which many on the reservation oppose because the current plan cuts across a small ridge of South Mountain and will bring extra traffic south of the mountain (along with its resultant pollution). While I don't fully agree or disagree with this complaint, I am willing to lend it a bit of credence as a valid concern -- well, at least as long as we maintain a sense of intellectual consistency. What if the tribe decides to take actions that impose increased traffic, or worse, upon Laveen? That's a $135 million facility with a full-sized hotel and 1,000 parking spaces attached!!! 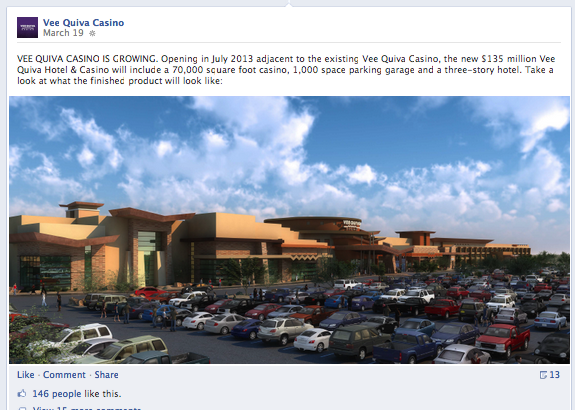 My only comment on the casino's rendering is this: "That's an awful lot of cars in the parking lot. 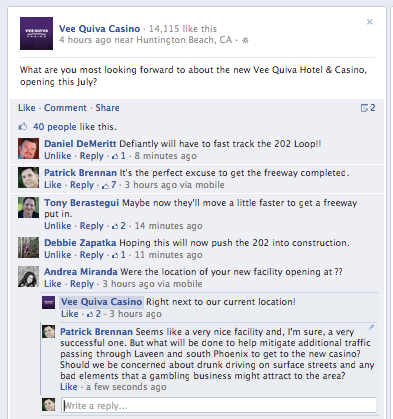 Will they all be driving on 51st Avenue to reach the casino?" Now I know I'm not the only one asking this question. To have planned for so much parking, they are clearly expecting a successful operation that will attract people from all over the Phoenix area. So I guess that means we can look forward to more traffic and related issues along 51st Avenue? That is the only way in and out from the north and west, so it's therefore my only conclusion. While we've been told repeatedly that the city has no say in such things, I demand more. We can at least employ traffic mitigation measures along 51st Avenue. This would have the two-fold effect of protecting Phoenix residents in the area and forcing something to be done about this giant bottleneck that keeps getting worse. If we strangle the cash flow to the casino, then I bet we get our freeway in a hurry. It's time to play hardball.